St. Cyprian's chapel is a hidden, historic gem of St. Augustine, Florida. 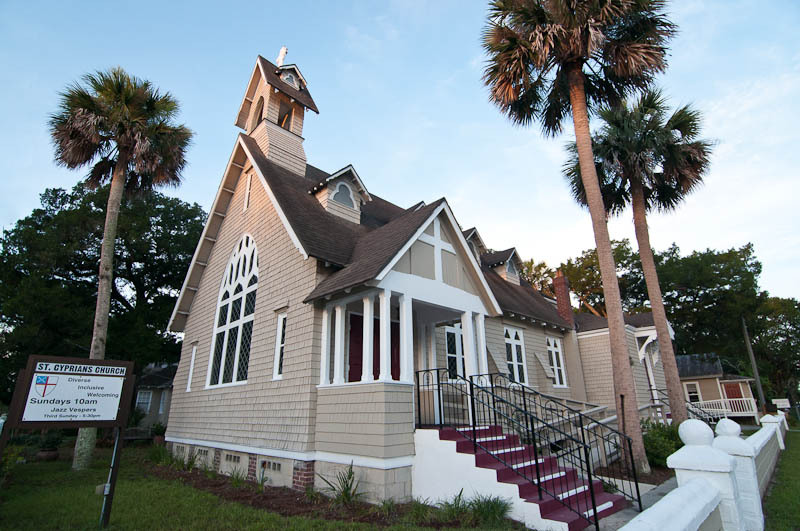 Located in the Lincolnville neighborhood of the Nation's Oldest City, its history is as rich as its warm, heart pine interior. 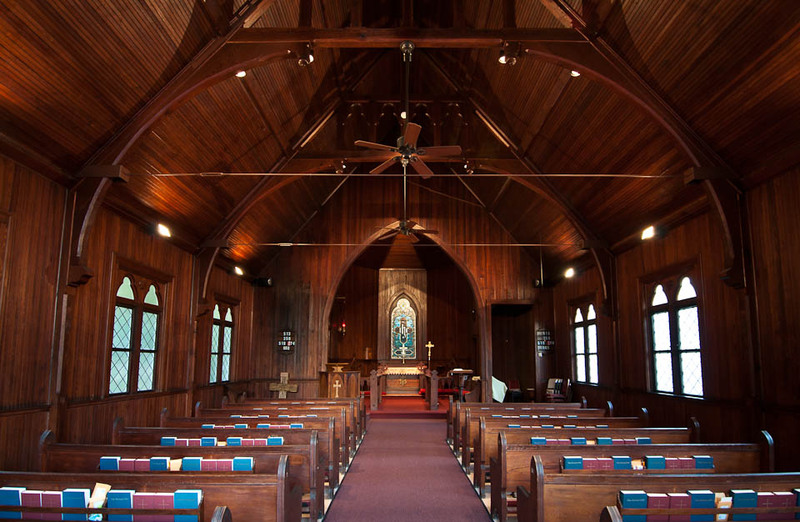 Small and intimate with a touch of modest elegance best describes St. Cyprian's chapel, and if you've always dreamed of a charming church wedding, we invite you to contact us to schedule a time to see the sanctuary. St. Cyprian’s is a place for celebrating the joyous union of two lives together. People from any denomination, faith, and tradition are welcome to be married in our chapel. We encourage couples to create a ceremony that reflects who they are and the life they wish to have with one another. Under certain circumstances, our priest is available to perform a traditional Episcopal union, but we also welcome and encourage couples to connect with officiants from outside the church to preside over a ceremony that's just right for them. WEDDING SERVICES | Make Your Day Yours. St. Cyprian's welcomes you and your wedding ceremony! Our chapel is available for ceremonies, and we also have indoor and outdoor reception options for wedding parties of various sizes. 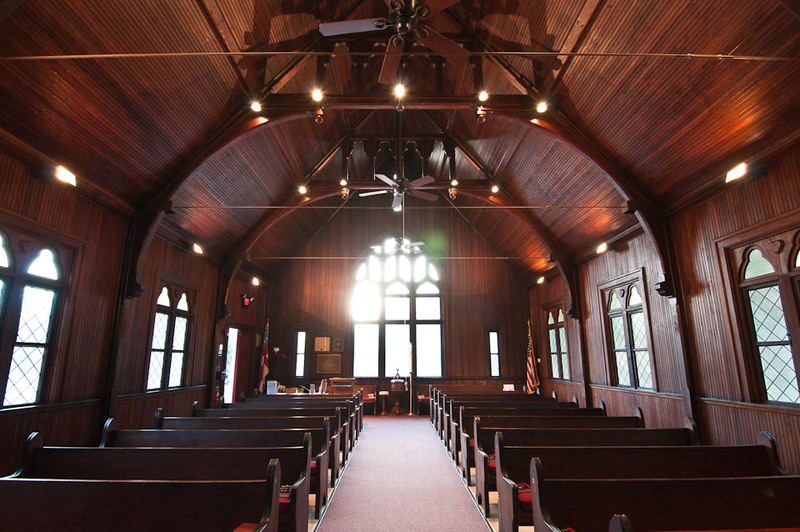 Small, historic, charming and intimate: these are the hallmark characteristics of what you are offered at St. Cyprian's. We encourage you to contact us with any questions, then schedule an appointment to visit us in person.